Another pro cyclist has been killed in race action, this time in a crash just after the start of a race in China. Dejan Maric (25) was taken to hospital but died from his injuries. A cyclist has been killed in race action in China following a crash not long after the start of an event there. Serbian rider Dejan Maric was fatally injured when he crashed with a number of other riders about 16km into the 99km Mt Wuyi Cycling Race in southeast China’s Fujian province. The 25-year-old was initially treated by medics at the scene of the crash. But while he was rushed to a nearby hospital he had sustained multiple, though as yet unspecified, injuries and hospital staff were unable to save him. He was pronounced dead at the hospital after the race had been stopped, such was the severity of the crash. The organisers of the event have extended their condolences to the dead man’s family and have said a number of other riders involved in the crash are being treated for their injuries. However, there are no reports to suggest that any of the other riders suffered life threatening injuries. 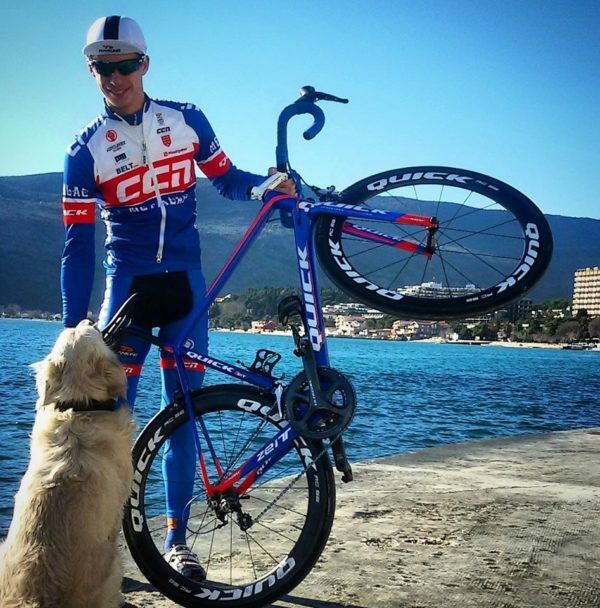 The deceased rider was a member of the Metalac-Quick team and had ridden on the pro circuit with them in Europe, riding many events in Eastern Europe in recent years. He had taken 3rd place in the Serbian national road race championships this year. The race he was killed in is part of the annual cycling and tourism festival at the Wuyi Mountains, a UNESCO World Heritage Site. The fatality is the latest in a series of incidents in which riders have died while racing this year, in both professional and amateur events. Only yesterday, on the same day Dejan Maric was killed, a 61-year-old British rider lost his life in a two-up time trial in France. Ian Bashford died when he was hit by a support vehicle during the 35th Duo Normand race, which also involved pro riders and was won by Orica-BikeExchange pair Svein Tuft and Luke Durbridge.